Welcome to law school... if tuition doesn't make you broke, the textbooks will! Law school casebooks are big, heavy monsters that update constantly. You often have to buy brand new because the law is ever changing and older editions may no longer be relevant. It makes for a very expensive process when they range from $150-300 per piece and that's not counting supplements. My first year of law school books cost around $1500 total. Now that I am a rising 2L, I have a pretty good system for finding books on a budget, which my sweet husband is very appreciative of. Here are my top tips! When a book costs over $200, I find it more cost effective to rent. 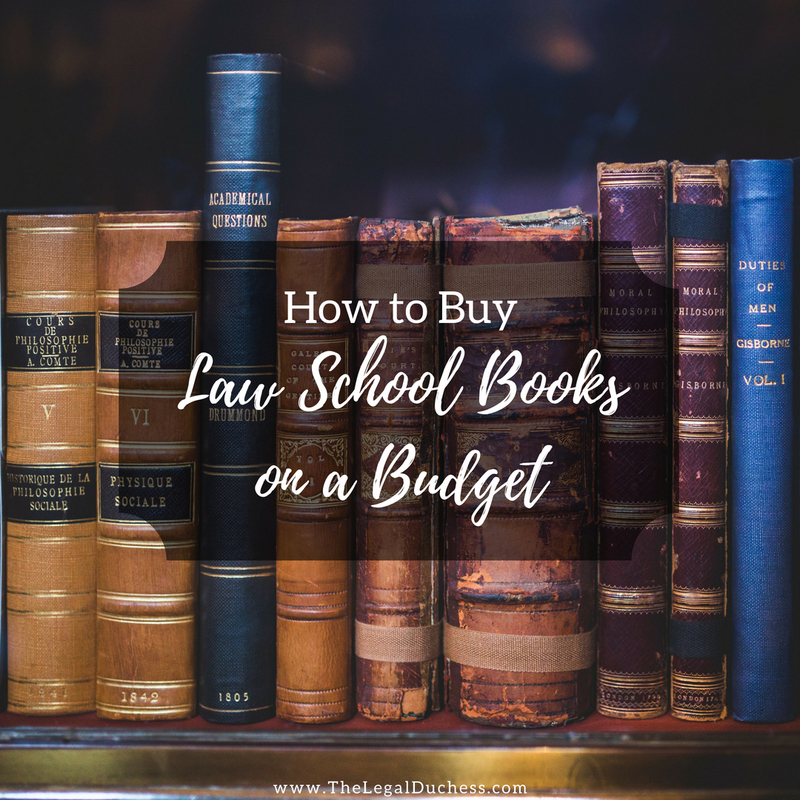 Often by the time you are done using it, highlighting or changing law has made the book value plummet downward and you will not recoup your money. Renting is cheaper and easier- just send it back when you are done. I usually rent from Amazon. As a follow-up to what I said above, if you can use an older edition, do so and buy it used! It saves soooo much money. I like Amazon, Half.com and Thrift Books for finding used books at a good price. Also, checking with 2L's and 3L's is super helpful for used books. Use Amazon Student Prime and get free shipping to save even more! When I bought my Criminal law book last spring, I used Barrister's Books. I was able to use a referral code from one of my friends to save some money off my order. This can be a great way to save a little cash- work with your friends and everyone can save. No matter how much you do to find deals, the books for 1L year are expensive. There is no way around it. I bought all my books on a Discover cash back credit card so at least I was able to get some return on the investment that way. Every little bit helps. Law school casebooks are expensive. Budget at least $1500 for your first year and anything you have left from that is just a bonus! Thankfully, the books seem to get cheaper 2L year. Good luck and may the bargain odds be ever in your favor.